Secure the stable measurements with 1/4″ tripod thread. EL series has a 1/4″ tripod at it’s back. You can fix it on any camera tripod for a steady measurement when you press the button, it help you to get your measures with stable readings. EL series a big and bright LED backlight screen, it makes you easily to read in the dark place or under the strong light. 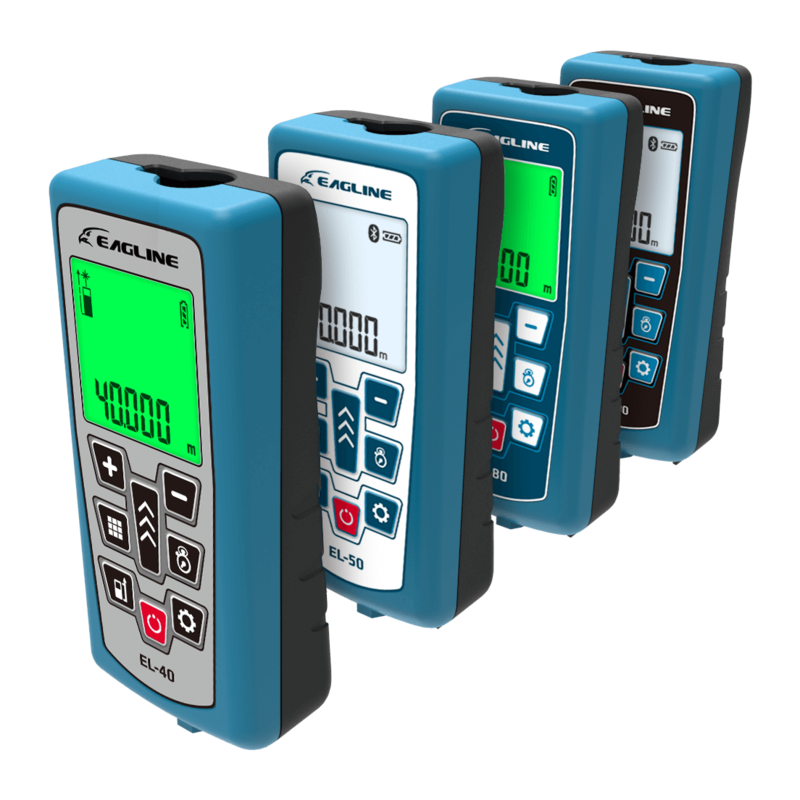 You could also install the TPR case onto the laser distance meter to give a better protection to your meter and the screen from accidents. EL100 has Bluetooth to work with you, the free ideal APP – HANS Measure Cam can be installed on your iPhone or Android phone, transferring your measurements to your mobile and displaying the value on the image you took. Also, the add-on Angle Sensor can get the height easily by tilting your LDM to a preferred angle. Then, just simply press measure, it will shows the angle right away.